I lift this fresh New Year to You. Lord, I don’t know what this 20219 will bring, but You do. Please guide me, give me wisdom, give me grace, direct me, and most importantly, be with me. Father may my every step we established by You. Please give me divine connections, divine opportunities, and divine friendships. Help me, by Your grace, to walk in discernment and recognize and move forward into the opportunities You set before me. Lead me to say yes or no according to Your will. Help me to love you with all of my heart, soul, mind, and strength. Help me to love others well. Give me ears to hear what Your Spirit is saying to me, and help me to understand and experience Your unfailing love in a fresh and deeper way. Give me a hunger for Your Word and help me to take time to be with You daily. Protect and cover me and most of all, help me to grow in godly character as I know You more. 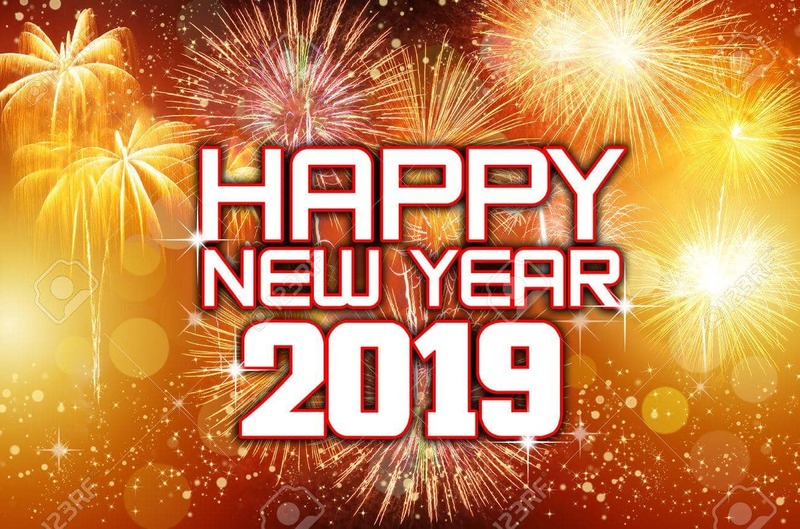 May I reflect You more accurately in 2019, may my responses be tempered by Your Holy Spirit, and may I grow closer to you daily. 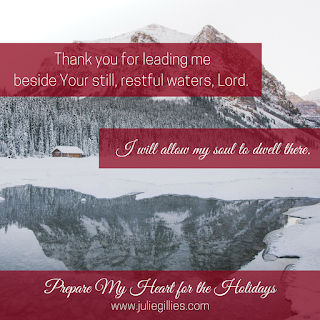 Fill me with Your very real presence, Lord, and orchestrate every moment of this year. In the mighty name of Jesus, Amen. Ahh, the holidays. The time of year when all the extra time we need simply materializes into our schedules, every single thing goes according to plan, all our relatives are happy with not a bicker in sight, and there is peace on earth (and in our homes). No other time of the year places more stress on more people. Yet much of the stress we experience is due to our own unrealistic expectations. We assume all our plans will go off without a hitch. We wrongly anticipate a golden glow around our festivities—around our lives—that simply isn’t realistic. Somehow our holiday expectations (and perhaps one too many Hallmark Christmas movies?) prevent us from enjoying our Christmas reality while we’re busy yearning for our Christmas if only. When we realize that our great expectations mindsets can change dramatically by letting go of our unrealistic expectations, we displace stress while making room for authentic peace and joy, and most importantly, gratitude for what we do have. On this last week of our five week Christmas prayer journey, let’s ask the Lord to help us face reality, embrace and enjoy what we do have, and allow our hearts to deeply connect with His. Daily. You are holy and awesome and mighty! God, I don’t want my holiday expectations to become a barrier that prevents me from enjoying my reality. I don’t want to experience unnecessary stress because of my unrealistic expectations. And I don’t want to yearn for what will never be, or assume everything will always go smoothly simply because it’s Christmas time. Right now I choose to let go of my expectations, Lord. I give each one to you…even ______. I surrender my expectations of perfection and let go (to the best of my ability) of every unrealistic desire. Thank you for lifting every ounce of stress from my heart and shoulders and filing me with Your authentic peace and joy. Give me grace for the inevitable hard moments. Help me to deal with my current reality equipped with your wisdom and peace. Instead of yearning for perfection, help me to cultivate a thankful heart. May my eyes be open to the many ways You do bless me, so my heart will overflow with gratitude. Help my heart connect deeply with yours, Lord. Daily. In the awesome name of Jesus, Amen. While I truly enjoy holiday baking and creating a pretty Christmas atmosphere in my home, I’ve come to realize that killing myself for unrealistic, unattainable, and unnecessary holiday décor (or spectacular cookies) is not a necessary thing. In fact, all my doing coupled with unrealistic holiday expectations set me up for intense stress levels. And exhaustion. You are good, and You are worthy of all my adoration and praise! Today I lift my holiday expectations up to You, and I surrender my unrealistic goals. Will You please help me to embrace simplicity, and to gladly do what I can and not to allow myself to stress about the unimportant things. Help me cultivate a peaceful, joyful, grateful atmosphere in both my heart and my home. It was an overload kind of day. Nonstop tasks. Nonstop appointments. I raced from place to place, from task to task, and by evening my shoulders were hunched up around my ears. Though my accomplishment list was long, I was so seriously wound up from nonstop rushing that my jangled nerves had a hard time settling down. Every taught muscle ached. Warp speed days throughout December. Sound familiar? Though that particular day was not typical for me, for many women our days can frequently be nonstop…especially during Christmas time. We rush, we undertake, we accomplish. And then we collapse. May I give you permission to slow down, exhale, close your eyes, and just breathe? Steal away for a quiet moment and let your heart connect to God’s. Let Him breathe fresh strength into your weary mind, soul, and body. Relax before Him and just breathe. Allow yourself to be still and rest in His beautiful, refreshing presence. You are my awesome King. I love and adore You, Lord. And I come to You, weary. Please give me great grace smack in the middle of my nonstop days. Right now I pause and allow my weary heart and body to focus on You. I choose to be still and know that You are God. You are so good. You are faithful and mighty. You are gracious and You know my every need. Will you please infuse me with Your revitalizing strength? Give me wisdom and help me not to overload my schedule during the upcoming hectic season, and to schedule time to pause and just be with You. When I’m faced with an unavoidable nonstop day, equip my heart throughout the day and, as I look to You, please ease and relieve and refresh my soul. Thank you for leading me beside Your beautiful still, restful waters. I will allow my soul to dwell there. In the precious name of Jesus, Amen.